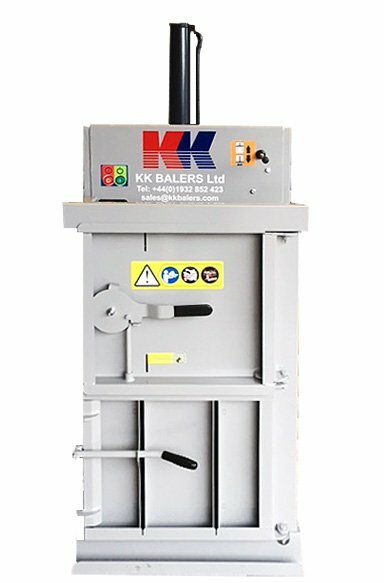 This compact baler fits neatly into any confined working area, making it the ideal machine for small commercial and retail outlets. Bales of card, paper and plastics weighing between 25 to 40 kg (depending on material) are produced for easy handling. The KK Minimiser can be purchased or hired on variable terms. This model can also be adapted to compact metal containers up to 25 litres in size. Utilising an optional metal table the machine will also compact other materials such as woven plastic sacks as can be see in our Case Study on Travis Perkins.